It’s July, which means it’s time for MLB teams to sort out their trade-deadline strategy. While fans distract themselves with All-Star festivities, general managers are preparing to execute player transactions in attempts to load up for a playoff run or, in acceptance of their near-term fates as noncontenders, build for the future. In this context, the Detroit Tigers find themselves in a bit of a bind. After a very strong start, they’ve slid back to a .500 record and have been entrenched in the middle of the AL Central, never too far out of first place, but never really within striking distance. Would a first-place finish from this position be unprecedented? Hardly. Can they claim a fifth-consecutive division title without making a significant trade this summer? Almost certainly not. The Tigers’ record is not a product of underperforming their potential; instead, it likely is a reasonably accurate reflection of this team’s collective ability to date, warts, lower-body injuries, and all. There is no question that the Tigers should be buyers this month, however thin their wallet may be with currency in the form of desirable prospects. I can’t say with any certainty whom Detroit should acquire this month– starting pitchers Johnny Cueto and Cole Hamels are the most valuable targets on the market, but the sellers’ prices may be too rich for the blood of the Tigers’ farm system– but I do agree with the prevailing preference for bolstering the pitching rotation. 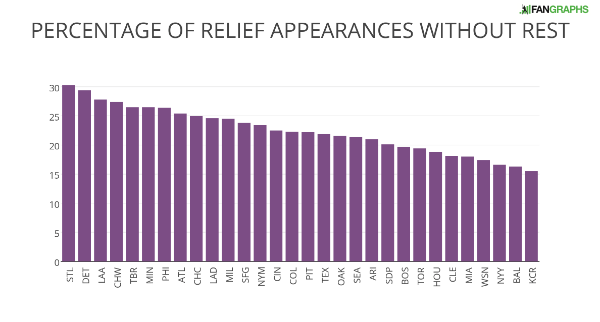 Shane Greene‘s floor proved too low to allow the team to continue to wait to see how high his ceiling might go, Alfredo Simon’s regressed to the very average levels we should have expected out of him as a starter, and, with appearances in just four games in 2015, Justin Verlander’s projected resurgence isn’t happening. 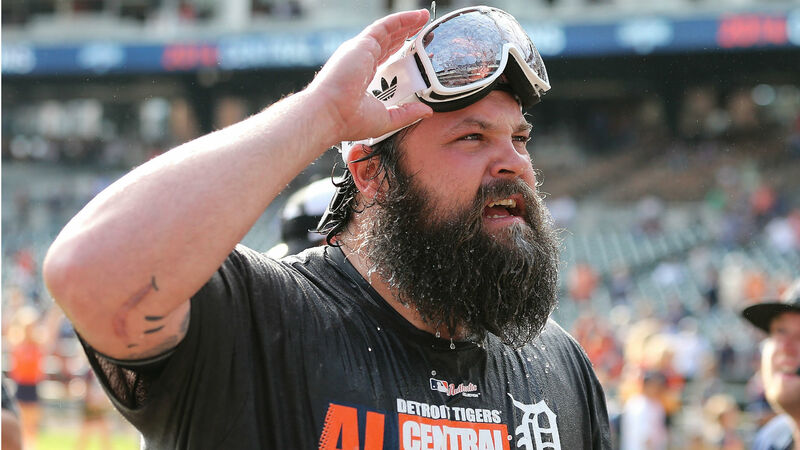 The return of game-calling extraordinaire Alex Avila to his precarious post behind the plate can’t fix that many holes, and neither, I suspect, can J.D. Martinez‘s unsustainable home-run rate. Detroit needs to find another starter. The trade-deadline attention on the pitching rotation represents a shift of attention away from their bullpen, the conventionally identified leading source of all of the Tigers’ problems. 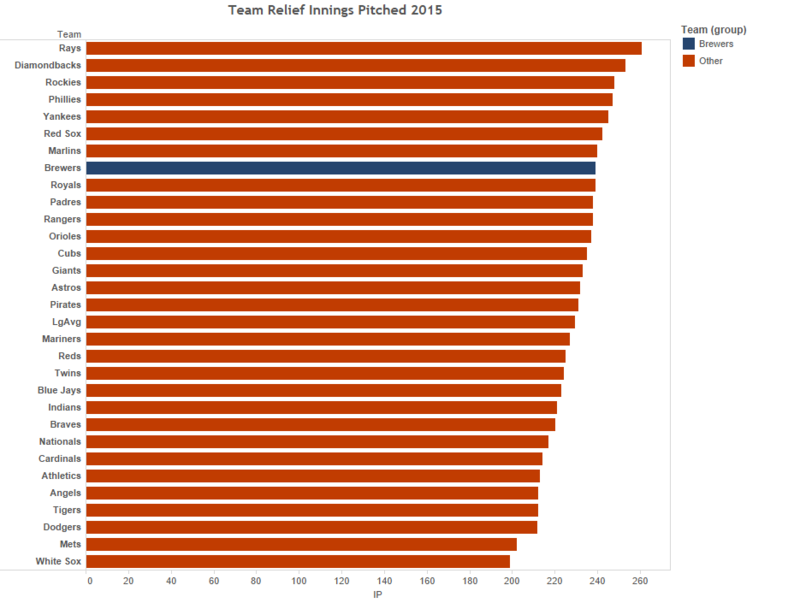 Under the leadership of Jose Valverde 2.0 and Joe Nathan, the relief corps deserved that dubious attention. This year, though, things appeared to be back on track. Thanks to a season-ending injury to Nathan, management had no choice but to do the thing they should’ve done anyway and use Joakim Soria in the traditional closer role. Soria, whose surname sounds like a Windsor apology, largely succeeded in that role, and his fellow relievers largely were buoyed by his anchoring success. As recently as the end of May, Detroit had one of the best bullpen ERAs in baseball. Today, though, theirs is one of the worst by that mark. Unfortunately for the Tigers, we need to ask whether the hand is going to swing back around to twelve and turn the bullpen back into a big, fat, burning pumpkin. Brad Ausmus has eased off the gas with Soria, who’s projected pace now has him at a more-comfortable sixty-five total innings. 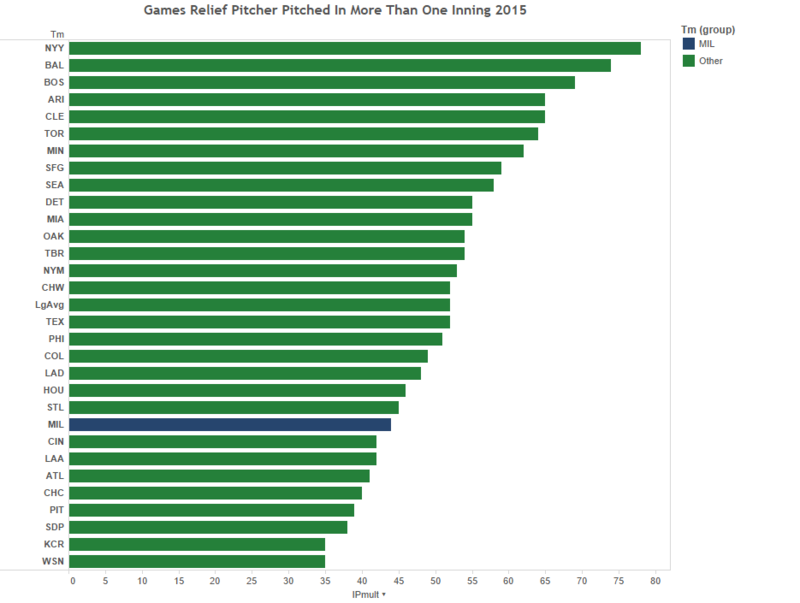 The Brewers are highlighted in this graph because I’ve borrowed it from Banished to the Pen colleague Julien Assouline’s helpful article at BP Milwaukee on bullpen usage, but if you look down toward the bottom, you’ll spot the Tigers. For the 2015 Tigers, this serves as a reminder that there’s more than one way to skin a large feline predatorhelp the starting rotation. If Cueto and Hamels aren’t available, and none of the other starter trade target options look good, the team might consider improving its bullpen as an indirect way to give the rotation an effective lift. General Manager Dave Dombrowski already has taken a couple steps in this direction, having cut Joba Chamberlain and Tom Gorzelanny loose. Don’t be surprised if he goes looking for more back-end arms on the trade market. Of course, this marks the second consecutive July I’ve argued the team should focus on adding offense, so some salt grains rightfully should accompany the foregoing suggestion as well. This entry was posted in ALDLAND and tagged alex avila, alfredo simon, baseball prospectus, brad ausmus, cole hamels, dave dombrowski, detroit, espn, fangraphs, jd martinez, joakim soria, joba chamberlain, johnny cueto, justin verlander, mlb, music, ricky skaggs, sb nation, shane greene, tigers, tom gorzelanny by AD. Bookmark the permalink.